We are giving away four (4) tickets to the 2017 Dam City Classic in Portland this weekend at the Moda Center at the Rose Quarter. Watch Oregon State Men's Basketball take on Saint Louis and Oregon State Women's Basketball face UC Santa Barbara immediately following. One lucky winner will be selected at random and contacted Thursday, December 14th. 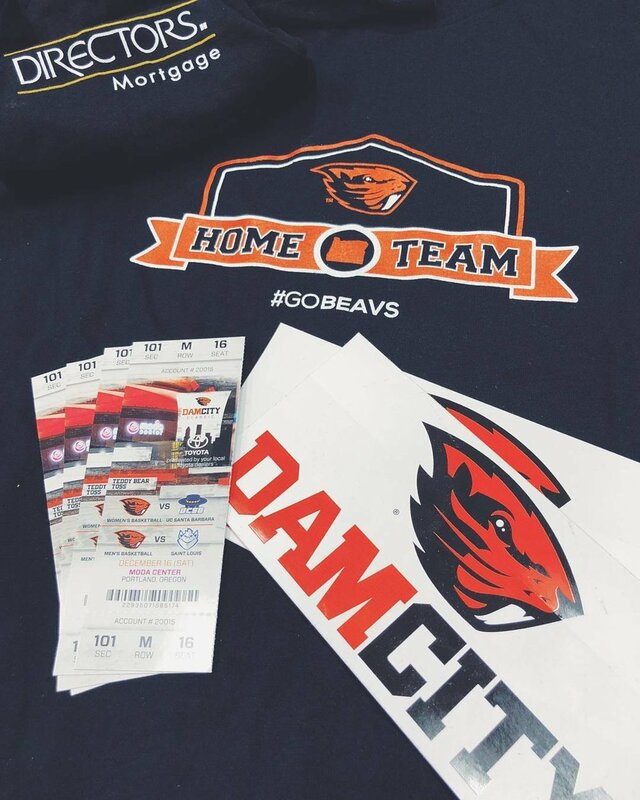 Winner will receive: four (4) tickets, four (4) Oregon State Beavers t-shirts, and two (2) tournament stickers. Happy Thanksgiving from the Directors Mortgage family!